Tired of Using Oversized Automotive U-Joint Tools for Your ATV/UTV Service? Using automotive u-joint tools for your ATV/UTV is a thing of the past. The NEW U-Joint Press Tool by Motion Pro is specifically designed for their smaller u-joints. You won’t need a second set of hands to perform this task anymore or the need of a shop press. The floating press plate allows for the use of a hammer for stubborn joints and conveniently includes adapters to fit most ATV/UTV applications. All are constructed from heavy-duty heat treated steel for years of reliability. 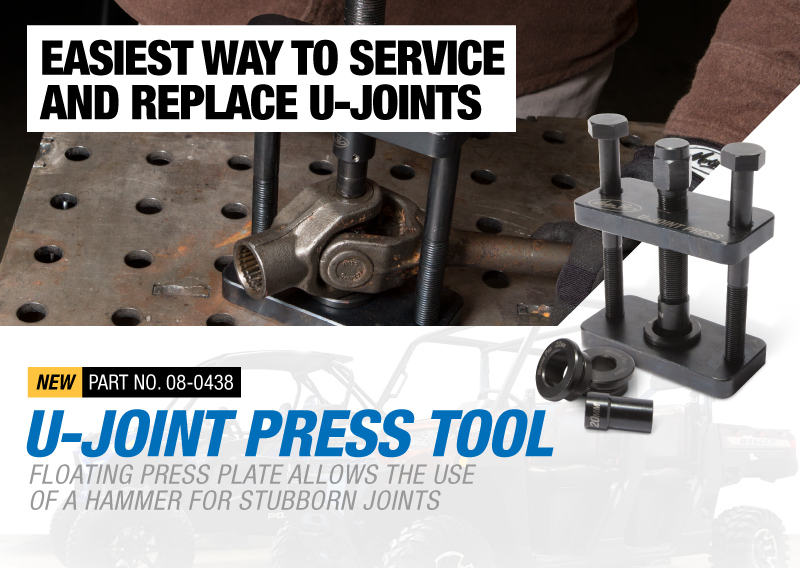 Do it yourself with the right tool for the job with the NEW U-Joint Press Tool Tool by Motion Pro.